A recent post by Tony Morgan of the UNSTUCK GROUP listed "Church Communications" as the number two core issue that plagues the local church. Following is the excerpt from Tony's post that clearly outlines why church communications is failing and limiting the church. "As we work with churches, we’ve noticed it is rare to see a professional, relevant communications strategy. This brings clarity internally as to what people should do and what a church is all about. To a new person, clear communications define a church’s mission and vision. Excellent internal communications is also lacking: We’ve seen churches with vision, passion and solid leaders crippled by poor communication." From what we see with churches across the country, Tony's assessment is spot on. When we see churches that are doing communications well, we find leadership teams that understand and prioritize the power of effective branding and communications. Many large to mega-churches have resources to build a balanced, skilled communication team. We know not every church has that luxury. Because managing communications requires a very diverse skill and knowledge set, many churches simply cannot fund that level of financial investment. Consequently, some churches sacrifice skill, experience, and talent. We get that. That's why we have created YOUR COMM TEAM BY DC, a balanced team of brand strategists, communication talent, print specialists, web and digital media specialists -- joining together to create your communications team. As the Unstuck Group reminds us, a critical piece of effective communications is clearly communicating your mission and ministry model so people easily get it. Your visual brand has to be a mirrored reflection of your mission and your ministry DNA. In addition to clearly communicating your core brand, DC creates a communication plan that brings your methods and tools into "today's expectations" using "today's best practices". Most churches have a reactive communications approach. We move you towards strategic communications with focus on clarity and results. Many tools that churches use to communicate are outdated and simply represent tired communication practices. As YOUR COMM TEAM, DC creates a new communications platform to most effectively deliver your message. We redefine your web approach, bulletin, newsletter and enews, projection screens, social media approach, visitor collateral, ministry branding & promotions, new member connection tools, signage, outreach campaigns, annual stewardship/budget reports, and so much more. 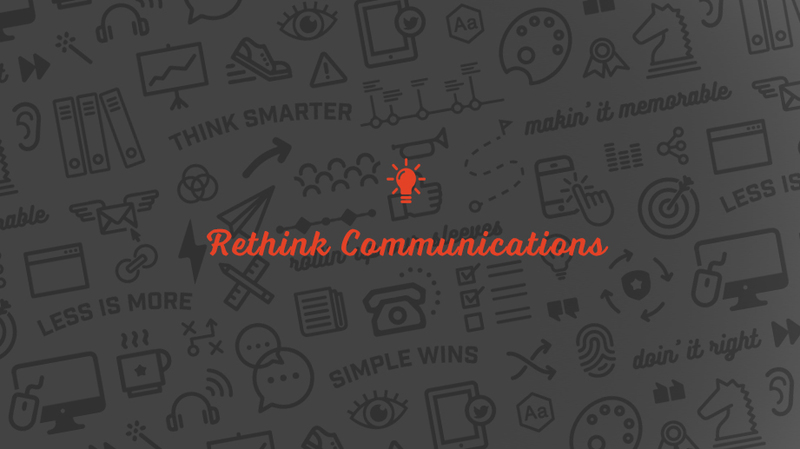 We raise the bar of the quality, strategy, creativity, and impact of all of your communications. Beyond rebuilding your brand and communications platform, we help you manage and deliver week-to-week and ongoing communications so everything is done with quality, consistency, and purpose. We create the right plan to integrate with your team to stay in step with the direction and tempo of your ministry. We have heard from countless leaders say they are frustrated with the church's ability to execute with higher standards, best practices, technology know-how, and smart creativity… well that's what our team is assembled to provide for you. The diversity of skill sets that DC brings to the table as YOUR COMM TEAM would be very expensive for a church to staff on their own. Because we know communications from A-Z and have created smart efficiencies for how we do it, we are able to offer a complete communications solution at a fraction of what it would cost you to hire one-full time employee with the cost of benefits and workstation expenses. This is not a consultative relationship although we bring our extensive knowledge to the table. This is a model in which we execute and implement so you have peace of mind and confidence knowing your communication is working for you rather than against you. It's time to rethink communications. If you are ready to stop communicating like church, let's talk.